2012 Is your Career & CV ready for the Apocalypse? 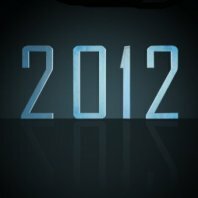 Home » Blog » How to Write a CV » 2012 Is your Career & CV ready for the Apocalypse? It’s quite funny how the doom merchants gather around websites, blog’s and news feeds in a way that our ancestors would have gathered around a fire; All sitting there poking it with a stick or in today’s world a pithy remark. The reality is that nothing has changed, look into a fire for long enough and you will see, wait for it, a fire. Not some grand revelation, just a fire! Although it is startling how we seem segue from one social or economic disaster to another it would be naive to think that while its doubtful that the 4 horsemen will turn up on 21/12/12, its not impossible to consider that we will still be in the throes of serious instability. The 2012 thing is all a bunch of hokum that was made up around the turn of 19th century, referenced and twisted ever since by author and scholar ever since. How can you ensure your CV is Professional and ready for 2012: Read this and prepare! ← Has the CBI got it wrong?